The Benamino Mateinaqara cap­tained Lautoka football team will be using their return match of the OFC Champions League final against Team Wellington today as a build up towards the Vodafone Fijian FACT 2018 campaign this week. The Blues faces Team Wellington at the Churchill Park in Lautoka at 2pm. The Blues are in Group B with Nadi, Suva and Tavua and are out to win their third FACT title. Mateinqara said, “We are also prepar­ing for FACT but we have to end the OFC Champions league on a high note. Midfielder Praneel Naidu and striker Samuela Drudru will miss out after they were suspended. “We need to address disciplinary issues in team on and off the field,”Mateinaqara said. Lautoka will be one of the favourite teams to win the Fiji FACT because of their expo­sure in the OFC Champions League. They also have an experienced squad which includes Zibraaz Shahib, Peni Fin­au, Dave Radrigai, Osea Vakatalesau, Ko­linio Sivoki and Jone Vesikula.. The Blues have played in five Fiji FACT finals since the tournament inception in 1991 and won the title twice in 2000 and 2002. The tournament kicks off at the Ratu Ca­kobau Park in Nausori on Friday. 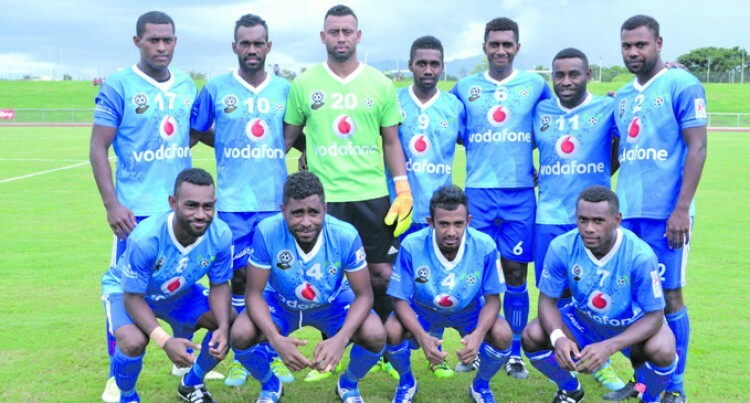 The Blues face Vodafone Premier League leaders Suva at 6pm.